When people, fans, analysts, commentators etc, discuss the Power Forward position the conversation begins and ends with Tim Duncan, a player universally known as the Greatest PF to ever play the game. After Tim Duncan the likes of Karl Malone, Kevin Garnett, Charles Barkley and Kevin McHale get mentioned; when people try to compare Dirk Nowitzki to them most people say he’s soft and isn’t top 10. If you asked them to name 10 PFs better than him they wouldn’t be able to do it without repeating some of the names listed. Before I compare Dirk to the Elite 5, I’m going to start off from the bottom. Most of the young people in the world that pay attention to basketball, I’m talking kids, would say Blake Griffin, L. Aldridge and Kevin Love are better than Dirk. If we’re speaking about today then that claim may be valid, but since we’re talking about career wise they have to take a backseat to Dirk since their careers just started. But to kill this arguement even more, Dirk has led two teams to the Finals while K.Love hasn’t made it to the playoffs and L.Aldridge hasn’t been past the first round. Before Dirk got his ring, people speculated that Chris Bosh, David West, Pau Gasol, Rasheed Wallace, Amare’ Stoudamire, Carlos Boozer and Zach Randolph were better players. Dirk was taking a hit at the time for choking in crunch time and not being able to lead his team past the first round in most cases. What those people people failed to realize was how Dirk’s best teammate was Terry while Boozer had Deron Williams, Amare’ had Steve Nash, Gasol had Kobe, David West had CP3, Rasheed had Billups/Iverson, and Bosh, like Randolph failed to make the Playoffs in most cases. During that time span, 06-11, Dirk had seasons where he averaged 25pts 9reb, 24pts 9reb, 26pts 8reb, 25pts 8reb, and 23pts 7reb while none of the other players had years that were better than Dirk’s. How many of those seasons are better than Dirk’s number wise without including FG %? Moving on now, if Dirk was on Rasheed Wallace’s Pistons teams they would’ve been a lot more dangerous. If Dirk would’ve been to that Hornets team instead of David West they would’ve been a lot better. If you put Dirk on that Lakers team that featured Lamar Odom, Andrew Bynum ( sad case), Kobe Bryant and Phil Jackson they would’ve 4peated. Put Dirk on Chris Bosh’s Raptors team that featured Jose Calderon they would’ve made the playoffs. Dirk and D-Will running the pick and roll would’ve equated into one of the most deadliest duos ever. ( Same thing can be said for Dirk and Stockton but thats for later.) Put Dirk in Phoenix with Nash, Shawn Marion (Prime) and D’Antoni and they would’ve wrecked shop on league. Now lets flip the deal. How many of those guys could you sub in for Dirk that would led his Maverick teams that featured Jason Terry, Josh Howard and some jags ( Just A Guy,) to consecutive 50+ win seasons? I’ll answer that for you, none!!! Amare’ thrived doing the pick and roll with Nash; David West thrived doing the pick and roll with Chris Paul; Chris Bosh ran the pick and roll with Calderon, heck even Pau Gasol used the pick and roll to get going. In Dallas the Pick and Roll game wouldn’t have worked. In late game situations how many of those guys would’ve been able to shake loose for their shots like Dirk could? The answer is not many, if any. Throw in the fact that Dirk is the only one who’s 7ft with a stroke and an MVP award the debate gets ugly. Before he we can argue the Tim Duncans and KGs of the game we have to pay homage to some decent PFs that made names for themselves. Derrick Coleman, Dennis Rodman, Shawn Kemp and Chris Webber deserve some recognition. Defensively Rodman is 2nd to none, offensively he’s last to all. His offensive game was non existent and he was 6’8 which makes him a little PF. If he guarded Dirk he would get lit up for 40+. Now Derrick Coleman was nice, former #1 overall pick, but he only had 4 years of averaging 20+ and one allstar appearance so he’s pretty much cooked in this argument. Chris Webber doesn’t really make it an arguement either. He only had 2 years where he averaged 25pts or more. Furthermore his career was derailed by injury so we didn’t see the full extent of C-Webb. But his awards don’t really compare to Dirks either so he’s done. Shawn Kemp was yesterday’s Blake Griffin. His dunks were monstrous and breath taking, but every thing was OK at best. For his career he averages 14.6pts 8.4reb 1st. He tallied a total of two season in which he averaged 20 or more; his best season was when he averaged 19pts and 11reb, which really isn’t all that when compared to Dirk. When compared to the guys from earlier it wasn’t that fair, in the sense that he was head and shoulders above everyone else. At this stage things aren’t going be as easy, but you already knew that. Earlier when naming the top 5 PFs I put them in order. For those who don’t recall the sequence goes Tim Duncan-Karl Malone-Charles Barkley-Kevin Garnett-Kevin McHale. Instead of jumping the gun and going at Karl Malone or Barkley first i’ll start from the bottom. During his time McHale was one of the best low post scorers in the game. He could defend and was an efficient player. Not to take away from his but he played with Larry Bird, arguably the best SF ever, and one the best centers ever in Robert Parish; not mention guys like Bill Walton and D.Johnson. Playing alongside them helped and hurt his career in a way. 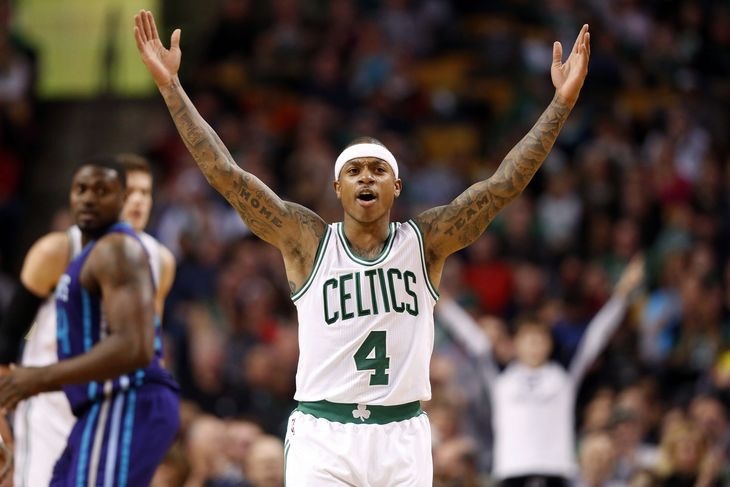 It helped because he won and accomplished some things, but it hurt because we never saw him as the main guy like we’ve seen KG, Dirk, Duncan, Barkley and Malone be. When looking at awards he has 3 rings, two 6th-man awards, 7 allstar appearances and 6 all defensive team honors. Dirk on the other hand has an MVP award, 9 allstar selections and a Finals MVP award. Throw in the fact that Dirk never played with an Allstar,( I’m not talking about an allstar that made the team as an injury replacement JOSH HOWARD,) and beat the two best players in the league, which had a top 15 player alongside them at the time, by his self shows how good Dirk really is. Give Dirk Larry Legend and the Chief and I’m sure he would have multiple championships. Dirk was also apart of the 50’s 40’s 90’s club at one point of time. Having Dirk with Parish would make that Celtics team bigger and a lot better offensively because of his floor spacing. Sorry McHale but Dirk brought another element to the table. This debate can go either way. Defensively Garnett has it but offensively Dirk has it. They both aren’t bangers and play in a finesse style. KG does post fades and so does Dirk. Enough of that though, it’s time for the stats. When looking at both they’re identical so that doesn’t help as much. 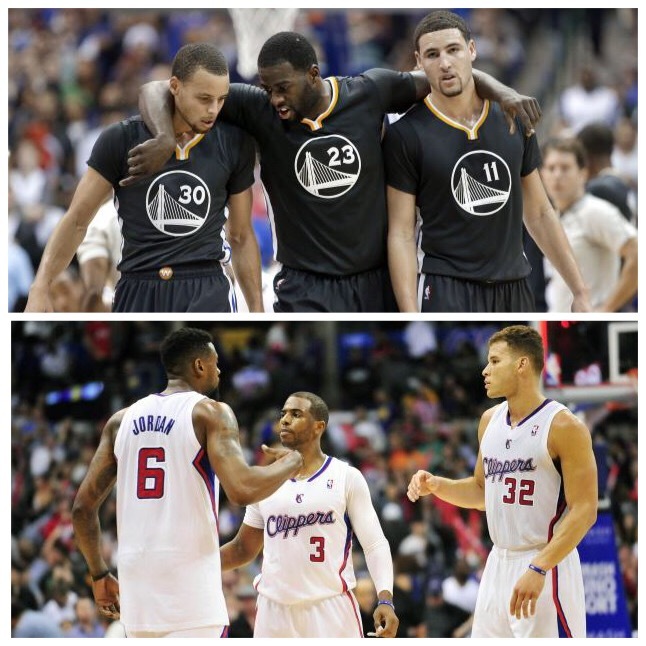 If you look at their best season, no one gains the advantage. Maybe Post Season play will help out. KG’s postseason average: 20ppg 11reb 4ast 1blk 1stl. After viewing that Dirk gains the edge and KG doesn’t recover. Before KG went to Boston he got out of the first round once. 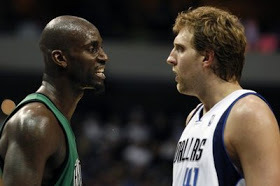 During one of his many first exits, KG got dogged by Dirk Nowitzki. Dirk’s team sweep KG’s with some lopsided stats. Dirk pretty much wins this one because of that and because he didn’t play with Pierce, Rondo and Allen, or be coached by Doc Rivers. If KG and Rondo are a great pick and roll, pick and pop tandem picture what Dirk would do. At the end of the day Dirk has done more with less. Put Dirk on the Celtics and they’ll be a lot better because of his offensive skill set. The Chosen One, LBJ, BronBron, LeBron, James, King James, The Greatest, The Frozen One, LaQueen, LeBrick, what ever the case may be everyone must take note of LeBron James and his superb play as of late. Matter of fact scratch that, people should take note of his whole career. Ever since he first came out of highschool people around the world had their eyes on him. People knew from the jump whether or not they would be a fan of his or a hater. His haters always criticized the things he did wrong or the things he didn’t do. Not once did they take a look at all of the things he did well. 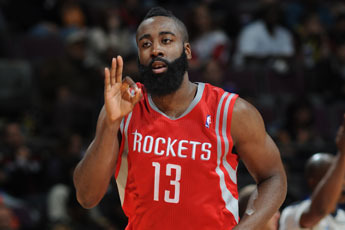 People said he’s not a scorer, but can’t name a year, besides his rookie season, when he didn’t average at least 27ppg. (http://www.nba.com/playerfile/lebron_james/bio.html#$/playerfile/lebron_james/bio.html, and yes 26.7 is rounded to 27 and does count.) So by looking at the link provided, not only does he score, he does it efficently; compared to “great scorers,” like Kobe and Melo. His naysayers are quick to point out the fact that he doesn’t attempt as many jumpshots as his peers, which as a result, is the reason why he shoots a better percentage. That claim doesn’t make any sense at all. In the game of basketball the best shot is a layup. After layup, it goes freethrow, 3pt shot and then midrange shot. The 3pt shot ranks higher because it provides more points and it changes your shooting percentage at the same rate a midrange shot would. With that being said he is a superb scorer. On the defensive side you can’t find anyone better at defending the wings. On top of that he can guard all five positions really well, unless he’s guarding a great offensive center. 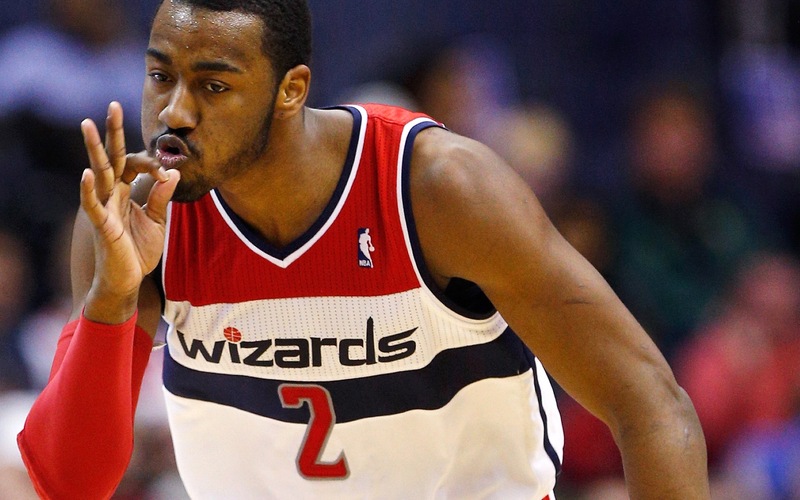 When it comes down to playmaking, he is second to Chris Paul. (Even though that could be debated.) And for his size LeBron rebounds extremely well. Out of all the players in the NBA LeBron James and Rajon Rondo are the only players that can get a triple-double on any giving night. LeBron’s game as a whole is closer to flawless than anyone else’s game. No one on the planet, and I repeat, the planet, is as good a basketball player as LeBron James. 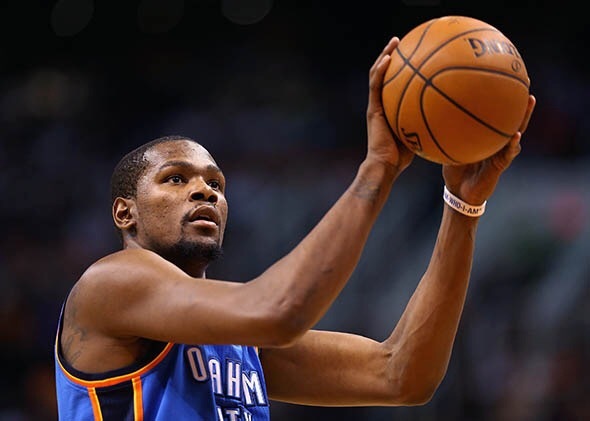 The only person who scores better than LeBron in today’s league is Kevin Durant since he’s in the beloved 50’s, 40’s, 90’s club. Substitute LeBron for Larry Bird, Kobe, Magic or even Jordan and he would make all of their teams better. LeBron would be devastating with Kobe and Magic’s Laker squads; if you put rookie LeBron in rookie Kobe’s shoes that specific Lakers team would have went to the Finals. ( That team had Nick Van Exel at the one, Eddie Jones at the two and had Shaq patrolling the paint.) LeBron wouldn’t have lost a Finals series if he was in Magic’s place. The playmaking Magic did LeBron would excel in and on top of that LeBron is a better scorer and defender when compared to Magic. Want to talk athleticism, LeBron is quicker, faster and stronger than the likes of Magic. Running ShowTime would be nothing to LeBron. Put LeBron in Bird’s shoes and Boston becomes better. The only thing Bird is better than LeBron at is shooting the basketball, nothing more. LeBron would thrive with McHale and Parish just like Bird did. Swap Jordan for LeBron and we’ll have a team that averages more points and features more scoring from players like Pippen and Rodman. LeBron is a better rebounder, passer, playmaker, facilitator, shot-blocker, heck he may just be a better defender point blank period. Jordan didn’t have to guard the type of athletes LeBron faces. Jordan didn’t have to guard an Arenas, a Kobe, a Wade, a Durant or a Melo; matter of fact Jordan couldn’t guard PF and C’s like LeBron can. Athletically LeBron is second to none. LeBron is more fundamentally sound than MJ is. I mean MJ is great, don’t get me wrong, but is he really better than LeBron? Jordan averaged 30ppg on 23 shot attempts a game, while LeBron averages 27ppg on 20 shots for his career. Time to do some math, since LeBron takes more shots in the paint than anywhere else and he was given three extra shot attempts, and made two of three, how many points would that equal? 31ppg is the answer. So in other words LeBron would have a higher career average if shot as many times as Jordan did, which equates to a better scorer, right? Some of yall are thinking i’m wrong because Jordan shoots 50% for his career and LeBron wouldn’t, but this is the funny thing about it all; by adding an additional three shots to LeBron’s shot attempts, with him making two of those, would make his shotchart look like this, 12/23, which equals 51.2%. That there would make LeBron James a superior scorer than the great Michael Jordan himself. Some people like to bring up rings when rings equate to having team success. LeBron never played with a Scottie, Shaq, Gasol, Bynum, Artest, Rodman, Malone, Payton, Parker, McHale, Parish, Wallace, R.Wallace, Pierce, Allen, KG, Nash, Dwight, Manu, Worthy or Kareem until he signed with Miami and had Bosh and Wade alongside him. Back in Cleveland who did he have? Mo Williams? Delonte West? Washed up Shaq and Jamison? Big Z? Andy V? Larry H.? How many of those players questioned belong in the same class of the players named? Heck, if Jordan or anyone else went to bat with those, for lack of a better term, scrubs, they wouldn’t have won either. LeBron is so great you can put him on any team in this league and i repeat LEAGUE, and they would be a playoff team if not a contender. 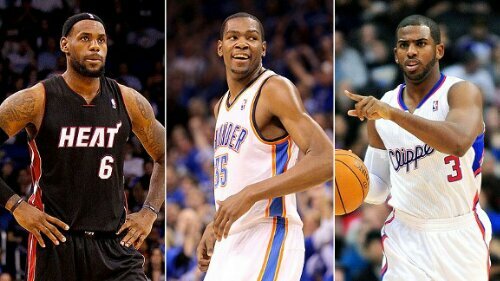 Lets sub LeBron for Durant; he’d have Westbrook playing better because LeBron would relieve the pg duties. LeBron would make Ibaka and Perkins better offensive weapons. 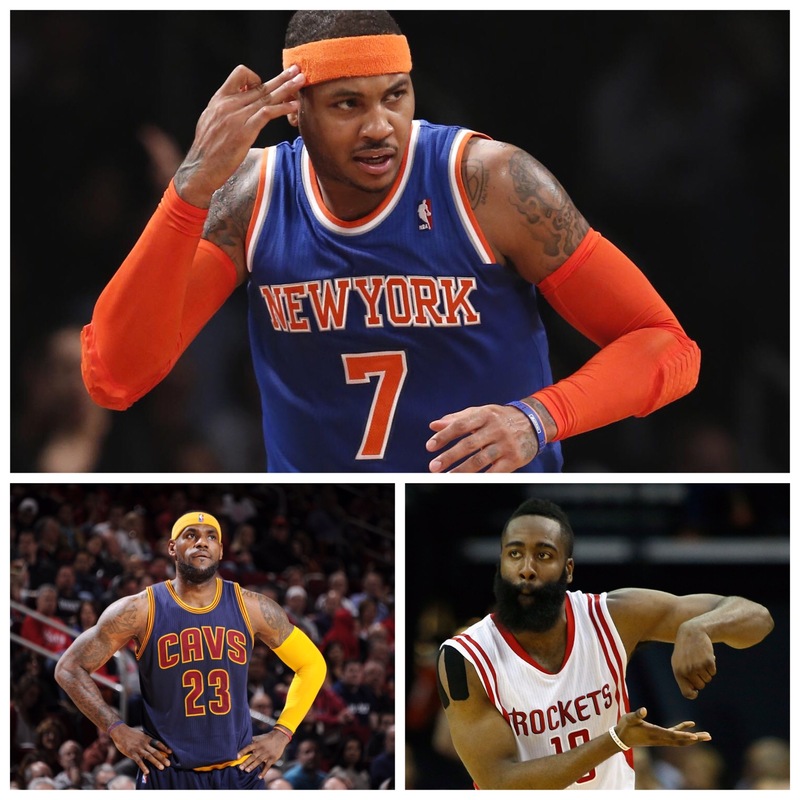 Trade LeBron for Melo and the Knicks would be unstoppable. LeBron and Amare would wreck shop on the league. You can’t name one single player that isn’t compatible to LeBron. There is no way you could possibly do it. LeBron doesn’t hog the ball, crave the need to score, none of that; if anything he can be a little too passive at times and nothing more. 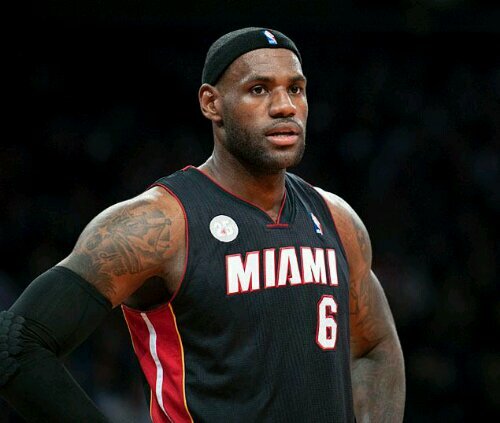 LeBron playing on the Bobcats would be a lethal threat. Kicking it out to Ben Gordon for a triple, paving the way for Kemba and Henderson to score, defensive presence downlow in Biyombo, offensive postman in Mullens and a legit bench led by Sessions and Gordon whats not to love. I made all of that sound good without mentioning M.Kidd-Gilchrist. With that being the worst team in the league think about what LeBron could do with a Cleveland team headlined by Kyrie Irving or a Mavericks team headlined by Dirk. LeBron James is just that dude plain and simple. There is no denying it. Even if you aren’t a fan of him, (I’m not…. Kobe fan 24/7.) you have to acknowledge how great he is and stop clinging on to hope that no one will ever surpass Jordan. Sure there may not be another Jordan, but in he same breath there won’t be another player like LeBron. He’s the greatest already, despite his career not being finished. 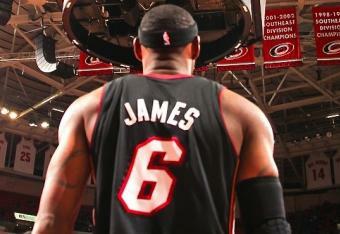 He deserves his self entitled name, King James! Kobe Bryant and LeBron James, two of the three most talked about players in NBA History, with Michael Jordan being the other, continue to dazzle our eyes with great inseason matchups that will never translate into a much anticipated NBA Finals series. Once LeBron ascended into a top tier player fans of the game dreamed of an NBA series that involved both LeBron James and Kobe Bryant. LeBron, like Kobe, was suppose to be the second coming of Jordan. Both Kobe and LeBron acknowledged Michael Jordan as their idol and a player they wanted to be like. LeBron adopted Jordan’s number while Kobe adopted Michael’s game and body language. Once Kobe and Shaq broke up people talked about four things, Kobe, Shaq, Duncan and LeBron. LeBron was asserting himself as an elite NBA player. He led his Cavaliers to the Playoffs and had memorable series against the Wizards and Pistons early. 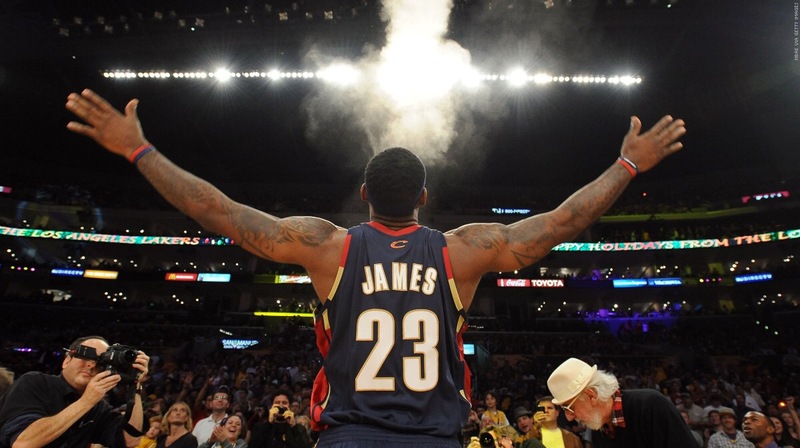 During that tenure LeBron James was anointed the nickname King James. On the other side of the U.S. Kobe Bryant led his teams to the Playoffs and had memorable series against the Phoenix Suns. 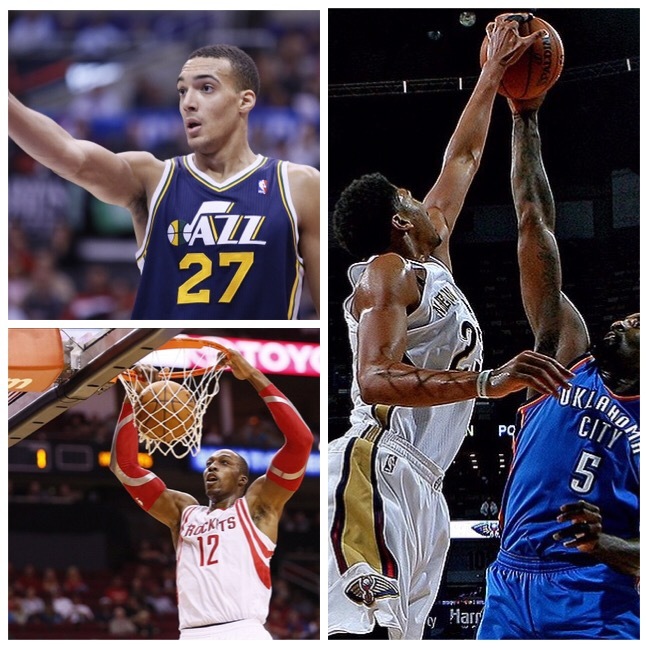 Each player had little to no help en route to leading their teams to the playoffs. 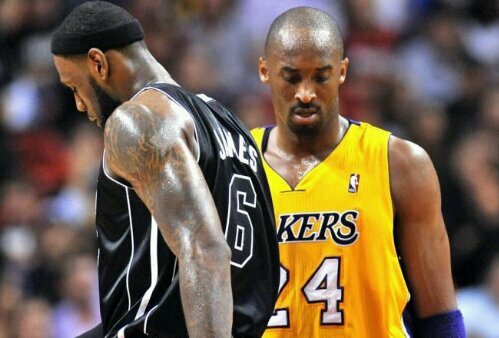 After the 2006-2007 season (which was the year LeBron lost to the Spurs in the Finals), the Kobe LeBron Finals matchup seemed more realistic. The following year Boston got Kevin Garnett and Ray Allen, L.A got Pau Gasol, Atlanta got Mike Bibby, Dallas got Jason Kidd and Phoenix got Shaq. Not only did those trades change the NBA landscape they made the Kobe and LeBron matchup a little bit more realistic. With J-Kidd and Shaq heading out West that paved the way for LeBron and his Cavs to move up into the upperechelon of the Eastern Conference. With the Lakers acquiring Pau Gasol they became the team to beat out West. During the Playoffs that year LeBron and his Cavs took Boston to seven games and lost while Kobe and his new sidekick, Gasol, went all the way to the NBA Finals in a matchup with Boston. Eventually the Lakers lost and had a dreadful offseason. Before the start of the 08-09 season LeBron’s team brought in Mo Williams to help propel them to another level. To help solidify their roster even more Cleveland pulled off a trade to bring in Ben Wallace and Delonte West. 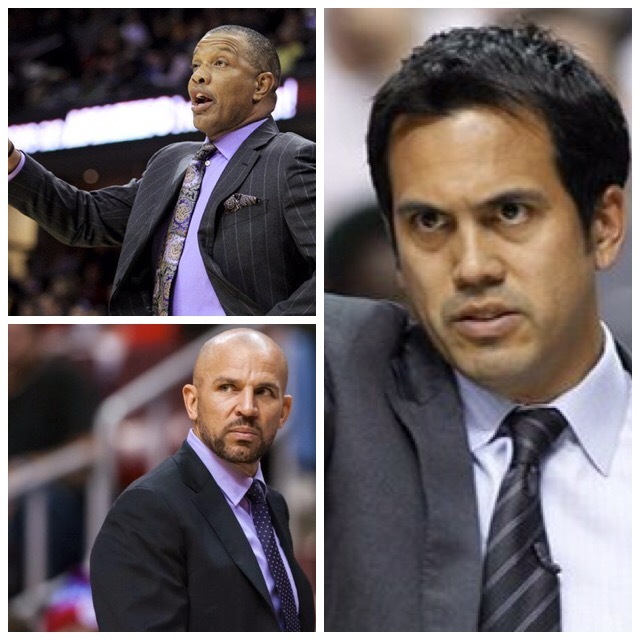 After bringing those guys in talks of a Kobe vs LeBron Finals matchup intensified. After having signed both LeBron and Kobe to lucrative deals Nike started making commercials about the two meeting in the Finals. Once Playoff time came around all eyes were on LeBron and Kobe. 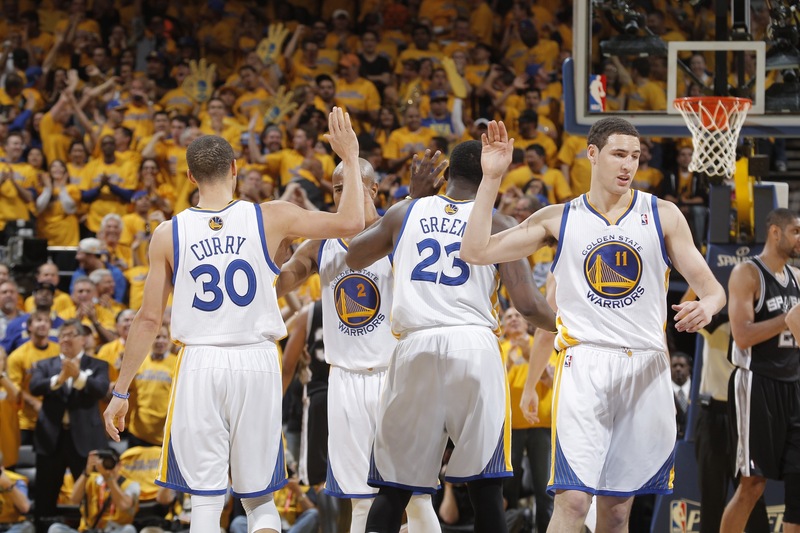 Each player led their team to the Conference Finals but only one advanced to the NBA Finals. LeBron and Co. faced an Orlando Magic team led by Dwight Howard. In six hard fought games the Magic outlasted the Cavaliers and sent LeBron home in the process. Kobe on the other hand, led his team past a Nuggets team that featured Carmelo Anthony. After six tough games against Denver Kobe went on to the Finals where he beat the Magic and earned his fourth ring. Weeks after the Lakers celebrated their Championship Parade, the Cavaliers did a trade with the Phoenix Suns to bring in Shaq. Days later the Lakers sign Ron Artest. Players, fans,coaches and analysts got the sense that a Kobe and LeBron series had become inevitable. Both teams started the season off strong. Even with the great start, Cleveland felt like they needed to give LeBron more help. At the trade deadline Cleveland did a trade that brought in Antwan Jamison. GMs and Experts said that move made Cleveland the best team in the league. 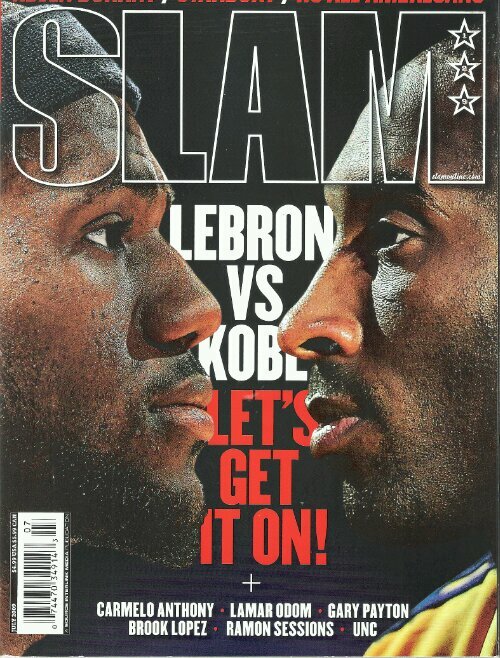 Weeks later the Nike commercials came back campaigning for a LeBron and Kobe showdown. 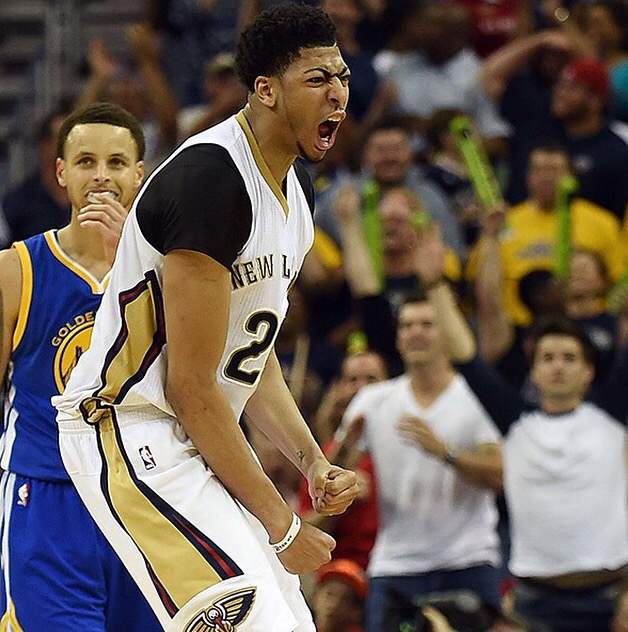 People around the world got hyped up and excited until the Playoffs came around. In the 2nd round of the Playoffs the Cavaliers lost to the Boston Celtics, who go on to lose to the Lakers in the NBA Finals. While Kobe is having fun with his 5th ring, LeBron bolts Cleveland and signs with the Miami Heat to play alongside Chris Bosh and Dwyane Wade. Now that LeBron had Wade and Bosh nothing was suppose to keep him playing in the Finals against Kobe Bryant. Once again people anticipated a Kobe and LeBron Finals matchup, until the Dallas Mavericks shocked the world. 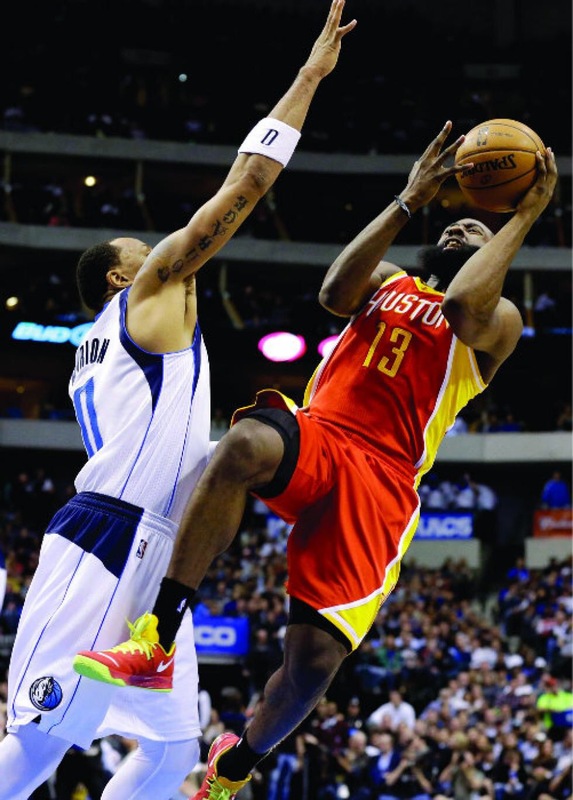 On four magical wins the Mavericks swept the defending NBA Champions in round two of the Western Conference Playoffs. Instead of a Kobe and LeBron showdown fans got a Dirk Nowitzki and Dwyane Wade rematch. The end result being LeBron goes home ringless and Kobeless yet again. Last year LeBron led his team to victory in the Finals against the arguably the best scorer the game has ever seen in Kevin Durant, and the OKC Thunder, who happened to beat Kobe and the Lakers two rounds earlier. During the offseason the Heat picked up Ray Allen and the Lakers traded for Steve Nash and Dwight Howard to make one last push to the NBA Finals while Kobe is still in play. Fast-Forward about six months and we’ll be where we are today. We have the Miami Heat as the top dog in the league while the Lakers are like a lost puppy finding their way, while struggling to keep pace with the nine teams ahead of them in the Playoff Race. LeBron and Kobe have been in each of the past six NBA Finals without matching up against each other. Six straight years without one heated series between the two. 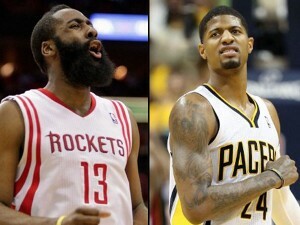 We may have had some scoring battles between the two from 05-06 to 07-08 (http://www.nbauniverse.com/awards/nba_scoring_leader_year.htm), and some nice two games matchups during the course of regular seasons between the two but thats not a true rivalry. Rivalries are made thru Playoff Series. Kobe and LeBron haven’t been in one against each other and don’t play each other enough during the season to even start one. So stop with all the Kobe and LeBron rivalry stuff. Kobe has no true rival and LeBron doesn’t either. Kobe’s career is on the downside while LeBron’s is up North. It’s time to face the fact: Their paths will never cross. 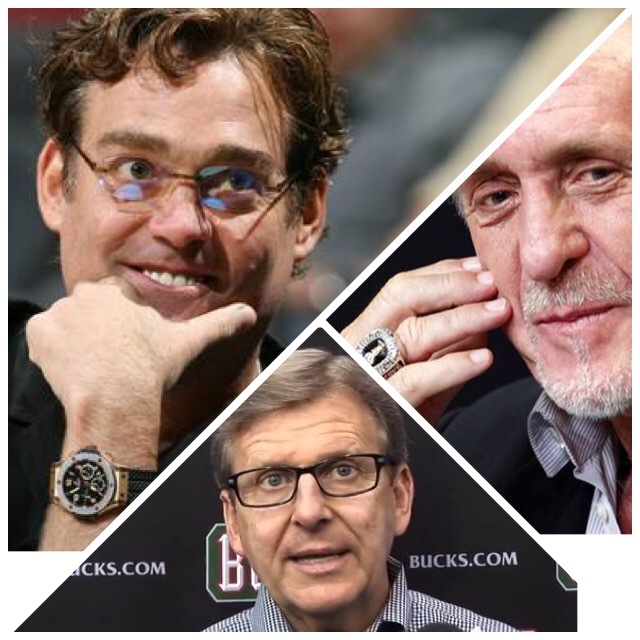 Did the Grizzles get better? In a big trade that involved three teams and six players Memphis sent their leading scorer, Rudy Gay, to the Toronto Raptors and received Ed Davis from the Raptors along with Austin Daye and Tayshaun Prince from the Pistons. Despite being 4th in the West at 29-14 the Grizzles needed to make a change if they wanted to improve and have a better shot at knocking off one of the West’s elite. 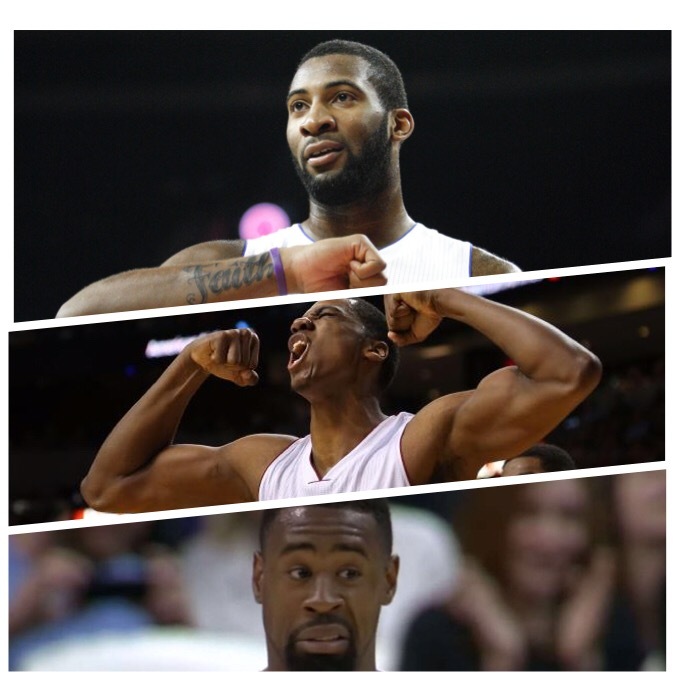 By adding Prince, Daye and Davis Memphis adds length, athleticism, defensive prowess and rebounders. By trading away Gay they lose an average defender at best who can score but does it at inconsistent rates. Now that Gay is gone Memphis will be able to feed Randolph and Gasol more. Prince will space the floor more than Gay did and give the bigs a little more room to operate. When Gay and Randolph shared the floor together they both needed the ball in the same spots which led to a lot of congestion in the paint area. 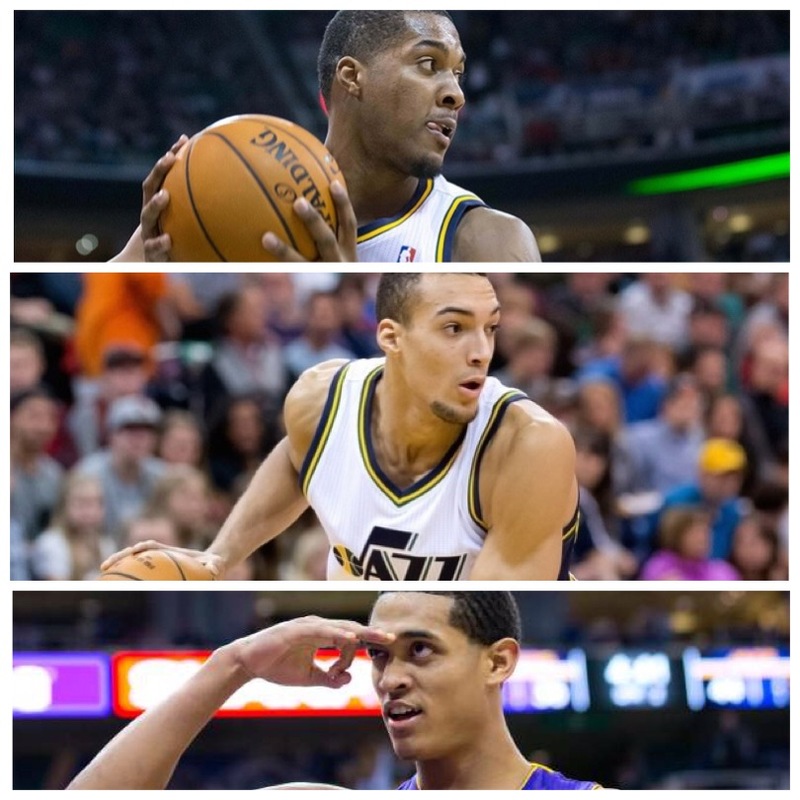 With the new acquisitions Memphis should become a better offensive and defensive ball club that can rebound better. 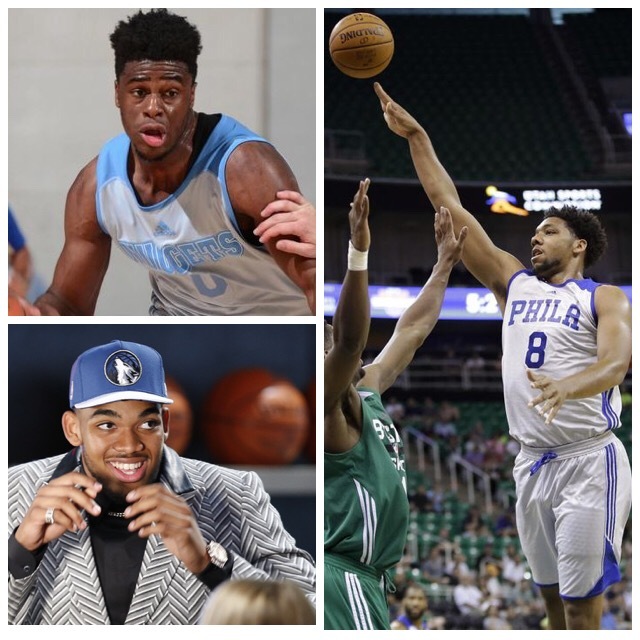 The Grizzles now have the size and depth that most teams lack. The Grizzles from two years prior have returned.